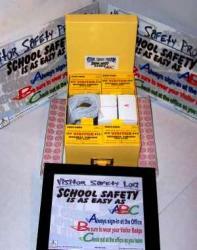 This is one of the most innovative programs available in School Security today!! And Yes, Keys' will help you establish this program in your school. Every single month of the school year (August through May), we will issue your school a new batch of our unique Visitor Badges with our innovative time sensitive stickers. Your school will simply destroy any "prior" month's batch of Visitor Badges and start using the "new" month's supply of Visitor Badges. Keys' always Customizes Visitor Badges with the district's logo. 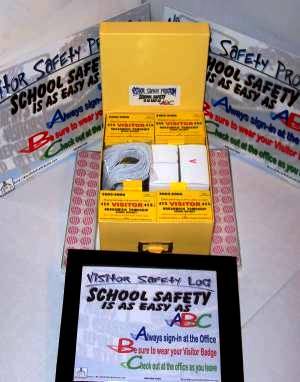 Other items included are badge holders & clips, a visitors log, promotional posters to put up in your school and instructions which explain this School Security Program. 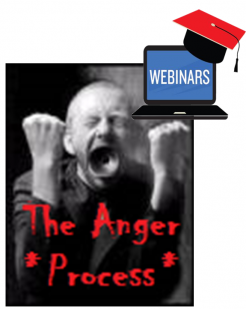 Want this FREE, click to learn how.